Anton Clothing is looking for distributors, retailers and clothing traders for promoting and marketing our brands around the world. 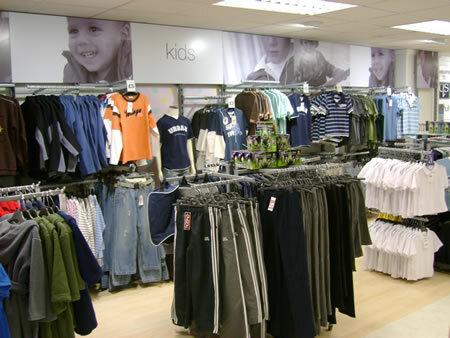 Currently we own and operate exclusive retail stores along with other prominent retailers in India for our brands. Though we have presence in various locations outside India, we are looking expand our presence across the globe by finding the right business partners for each region. We can provide CIF,CNF and FOB prices. Due to our expanded network, supply chain capabilities and local offices in various countries, we can deliver the finished goods on time and also in a cost effective and efficient manner right up to the port of entry for the client. Thus this relieves you off the transportation and clearance nightmare. This facility is available in countries where we have established presence by way of other group companies belonging to Anton Solutions. So if you are an retailer without import privileges or a distributor who would like to receive the product at your country of operation, we present the easiest to way to promote our brands. However, if you do not require freight or clearance options, we can also give you an FOB price and let you manage the means of transportation and other procedures. We guarantee strict quality control and material selection and would be second to none. Samples and product catalogues can be shipped to the clients based on request. We also undertake clothing manufacturing orders of reputed brands across the world and thus if you would like your brand to be manufacturer in a cost efficient manner, we are the one to help. This would also include custom clothing for school,hospital and other uniform clothing as well. For further information, enquiries, terms and conditions please contact us. Alternatively, please email our marketing department at clothing@anton-solutions.com or call on +91-9900522404(India) / or click here to find the closest office location for your country.